When I first heard about LED light therapy, I was intrigued as I'm a sucker for anything that promises to make my skin 'glow’. But my interest was really piqued when I learned that LED light also has the power to help reduce pigmentation (basically the bane of my existence!). So, I put LED light therapy to the test at gorgeous Perth skincare clinic Mi:skn and (spoiler alert) loved the results. First off, let's talk about what LED stands for: light emitting diode. Without getting too technical, an LED is a light source that emits infrared light (and thereby, heat) when activated (don’t worry, it doesn’t contain any UV rays). There are two different types—blue targets acne-causing bacteria, while red stimulates the creation of collagen and elastin to decrease fine lines and wrinkles. 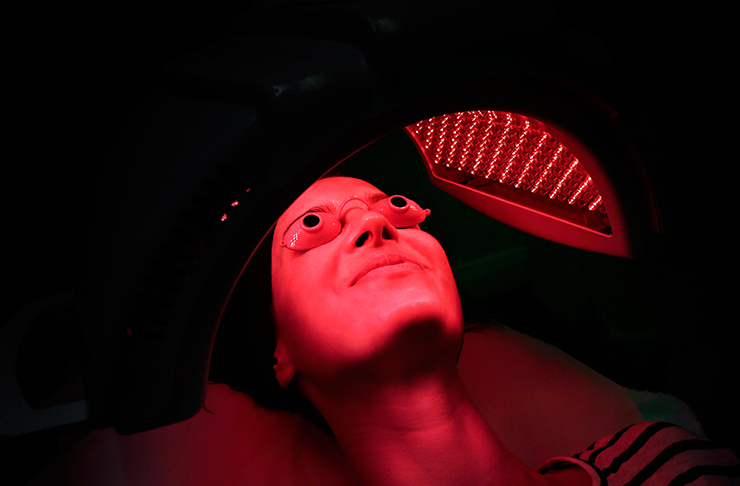 While it's interesting to know how LED light therapy works, all you really need to know is that it is a game-changer. It stimulates the production of collagen, improves circulation, increases hydration, promotes healing and calms inflammation. Basically, it exists to make your skin look younger, plumper and glowy-er. Yes please! 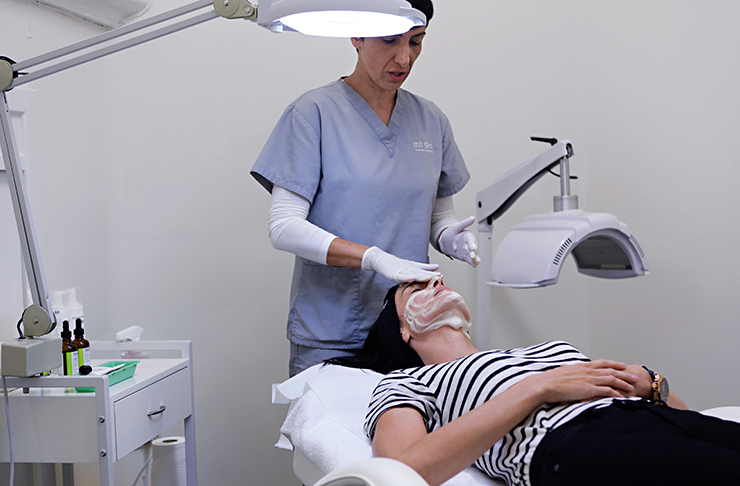 At the start of each appointment, Mi:skn's Francesca thoroughly cleaned my skin. Once my skin was squeaky clean, the LED machine was rolled over and positioned over my face (side note, this can feel a little claustrophobic at the start but you get used to it). Goggles were then placed on my eyes before the LED light was turned on. Before my first appointment, Francesca warned me that the light was bright but it still shocked me just how intensely bright it was when it’s first turned on. Fear not though, you get used to the brightness really quickly and after a few minutes, it just feels warm and really relaxing—so relaxing that I would usually fall asleep! From there, I was left to lie for 30 minutes under the machine, easy peasy! In a heartbeat! I was lucky enough to do a full course of LED treatments and after each appointment my skin was noticeably brighter, more plump and dewy. Plus the cumulative effect meant I really noticed that it reduced my pesky pigmentation. It’s not the cheapest treatment going around (a single treatment is $90 or you can buy a course of five treatments for $325), but if you’ve got something special coming up or if you just want to improve your skin quality without any downtime, LED really is an awesome and super effective option. Looking for more beauty inspo? Check out our 6 Essential Winter Beauty Tips Here!